Process Control, Medical, Test Equipment, Control Panels, Communications, Telecom, Recreational, Consumer Products and Marine Instruments. Technical discussions will determine your layout, display size, liquid crystal fluid, voltage, duty, bias, temperature, backlighting, connection method, packaging requirements, LCD driver, and LCD controller-driver selection assistance. Segment Displays, Dot Matrix Displays, Character Modules, and Graphic Modules up to 320 X 240, (1/4 VGA). Simplified Chinese, Japanese, European and other languages. Gullwing offers conventional and special liquid crystal technologies: TN, HTN, ETN, BMTN, STN, FSTN, FFSTN, NFSTN, DSTN, ESTN, Multi-Colour TN, Passive Colour (CSTN), Active Colour (TFT), and proprietary Super Fast Displays (SFD). Displays are available in transmissive, transflective and reflective mode. We offer many types of backlights: EL, CCFL, Edge Lit LED, & LED Array. We can enhance your design by adding in switches, keypads, and indicator lamps. 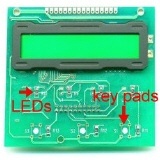 It is possible to add other components like keys, LEDs or special connectors to a custom design LCD module. With these options Gullwing can offer the total solution to customers. Gullwing implements a variety of integrated circuit mounting techniques in designs of printed circuit boards used with standard and custom made liquid crystal modules. We have full production lines for incorporating surface mount technology (SMT), chip on board (COB), tape automated bonding (TAB) and flexible print circuit (FPC). Gullwing contributes solutions to the market�s burgeoning demand for chip on glass (COG) technology. We can offer you various connection methods: Pins, Heat Seal Connector (HSC), Flexible Flat Cable (FFC), Flexible Printed Circuit (FPC), to satisfy virtually any mounting configuration. There's no need to worry about your LCD requirements. Let Gullwing do it for you. 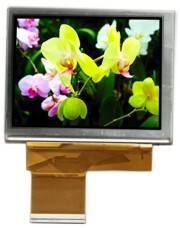 We have been designing, and building custom LCDs for more than fourteen years. Our design service provides you with a one-stop total solution for custom LCD displays. We provide a friendly one-company interface between you and the factories. Up front tooling, and production quantity quotations. Multiple factories allow us to achieve the best pricing for you. Counter drawings: 3 to 5 days. Prototype samples: 3 to 5 weeks. Production: 4 to 6 weeks. Follow up continuation engineering as your product matures, or as your design needs change at no charge. Just send us a copy of your current specifications and we will do our best to give you a high quality product at a lower price.